For all of the Batman games that have come and gone, very few have ever let you play with the Dark Knight's ultimate toy: The Batmobile. 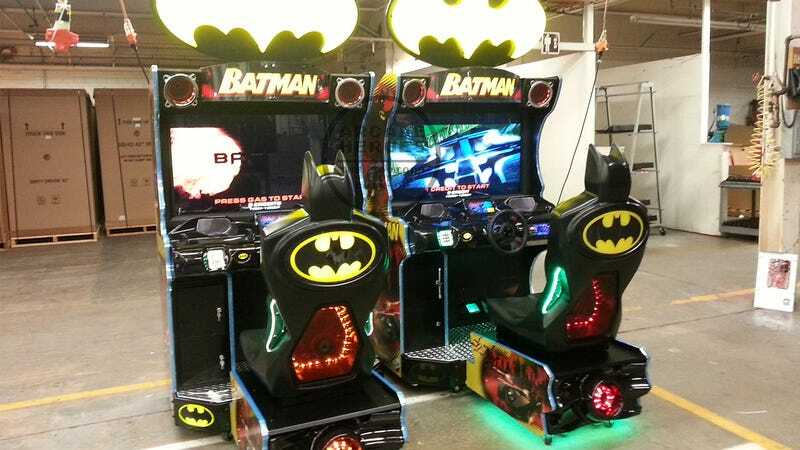 But that's all about to change thanks to this new arcade simulator from Raw Thrills and Specular Interactive that lets you drive almost everything in Batman's garage through the streets of Gotham City. Launching sometime in November (complete with a better bat-themed steering wheel) the game will have an open world GTA-like feel that lets players complete random missions like Crazy Taxi—except that you're behind the wheel of a high-speed, crime-fighting tank, not a cab.